In today’s episode of the Mortgage Guide Podcast we cover what lenders are looking for when reviewing your credit report, and the things that DON’T show on your credit report as well. Good or bad, there are some misconceptions about what information is shown on the credit report. Before diving into what doesn’t show, let’s take a look at the things that are reported. When you are looking to buy or refinance a home, your lender will want to take a look at your credit report. Your lender is looking for several specific things. Monthly liabilities like car loans, credit cards, student loans, and personal loans. Your monthly liabilities are used to calculate your debt-to-income ratio, and play a big part in your mortgage approval. The ideal situation is to have a DTI (debt-to-income ratio) of 45% or less. So basically you want to have monthly expenses that equal to less than half of what your monthly income is. Note: Student loans sometimes are in deferment status, so no payment is shown. In this case the lender will use a percentage of the balance as a monthly payment, or you can provide a letter from the student loan company stating what your payment will be when you start paying on your loan. With some loan programs you’re able to exclude that liability entirely as long as the loan is deferred for a certain amount of time (usually at least 12 months). Credit scores. The lender is pulling a trimerge credit report. This means your scores and history are being pulled from all three credit bureaus (experian, equifax, and transunion). The lender will use the middle of the 3 scores. Don’t be surprised if each score is different, that’s common. The reason they are different is because not all creditors report your liabilities to all three bureaus (because it costs time and money to do so). By pulling your credit from all three credit bureaus, we’re able to see as much history as possible to make an educated decision regarding your credibility as a borrower. Bruises. Things like current or past collections, late payments, judgments, tax liens, bankruptcies, foreclosures, and short sales are reported on your credit report. As a lender we take these into consideration when making a decision on your loan. We look for: how long ago did this take place, is there anything still outstanding, have you gotten back on your feet (re-establishing your credit)? 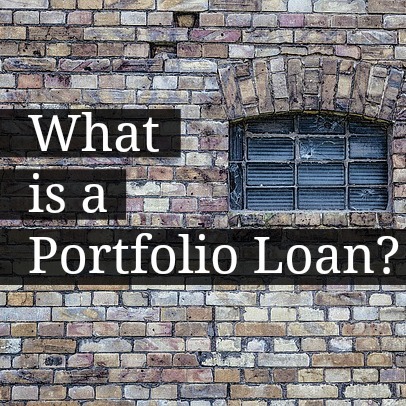 Most people think that if they had a bankruptcy or foreclosure in the last year, they can’t buy a house, but with portfolio loans there may be an option if you’re back on your feet. So those are the basics that we look for on a credit report. But what about the other stuff? Very valid point. Let’s take a look. You have been renting for two years. Never late. Your landlord loves you, but your credit score is 550. What gives? Doesn’t two years of faithful payments mean anything in this world? Yes, and no. Yes it means something because when you get a mortgage your lender will contact your landlord for verification of on-time payments (verification of rent or VOR). By having a squeaky clean history you simply set yourself up for success. On the flip side, your faithful payments are not going to be reflected on your credit report because it’s highly unlikely that your landlord will take the time and effort to report your payment history to the credit bureaus. The landlord would actually have to pay to report their information to the bureaus. “Just take a look at my credit report, you’ll see where I’ve worked and how much I’ve made.” Um, no. Your income is definitely not reported on your credit report. There may be instances where your employer’s address could pop up on your report as a previous address, but the credit bureaus do not know how much you make. Nor should they. The fact of the matter is, your income isn’t a refection of creditworthiness. Income is definitely a factor with a mortgage approval, but not given any weight when it comes to credit score. Some people buy their home with seller financing (commonly called “land contract” in the great state of Michigan). This is a way to purchase a home if you don’t fit within normal lending guidelines. The seller acts as the lender and accepts payments each month. There are some companies that will actually assist the seller with managing this type of private mortgage. The problem is it takes additional time and effort for the seller to go through the process of getting credit reporting set up. I say that there are companies that help with these types of matters, but to be honest, I have never seen land contract payment history on a credit report. Ever. In this case the (new) lender would reach out to the land contract holder to verify the payments have been current, get an official payoff, and verify with the county if the land contract was ever recorded. Your credit report doesn’t get updated like your Facebook feed. If you pay down a credit card, and have your credit pulled the next day, it’s probably still going to show your previous balance. If you’re looking to get an increase in your scores, pay down your balances on your credit cards, and wait a couple of weeks. Some experts have a rule of thumb to make the payment, wait until the next bill comes out (showing the new balance), and then have your credit pulled by your lender. To me that makes sense. The sob story (last but not least). There is always a detailed story behind each derogatory mark on a credit report, big or small. Whether it was your brother’s cell phone bill that you refuse to pay, or the hospital bill that insurance was supposed to cover. There’s always a long explanation. The credit report simply spits out data that they receive from creditors, not much more than that. If you have a situation that you believe is incorrect CALL THE CREDITOR. It’s not just going to “go away”. Talk to 10 different people if you have to, but come to some sort of resolution. If you choose to officially “dispute” the debt, it may create problems on your mortgage approval that you didn’t intend. What is the weirdest thing you found on your credit report that you had to fight tooth and nail to get removed? Better yet, what was one thing you thought for sure would be on your credit report, but never was added?